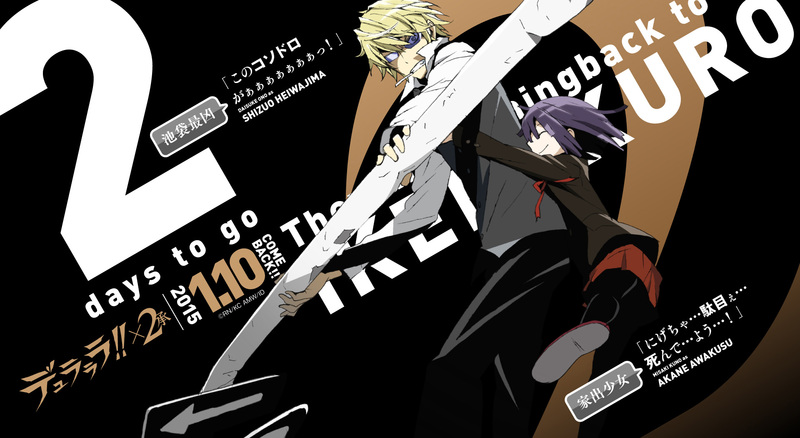 The official website and Twitter of the anime adaptation of Ryohgo Narita and Suzuhito Yasuda’s Durarara!! has been counting down to the first cour of Durarara! !×2 Shou, the second season of the Durarara!! anime. The accounts have been releasing new images every day since the New Year counting down to the anime’s debut on the 10th.